Delta Is The Best? Etihad Sweet Spots, Thoughts After 150 Hotel Stays & More! An underused/overlooked airline frequent flyer program that you may wanna take another look at. This annoys me because eBay was selling discounted Gymboree gift cards just like a week ago. Make sure you burn them ASAP if you have some. Very similar to the Toys R Us deal. I agree with Ian on most of his points. Luxurious properties are reserved for my free night certificates not for points stays. Your points go much further at middle tier properties. That is one of the reasons why Hyatt is one of the two programs I frequent. The Hyatt Place/Hyatt House line does it better than anyone on the entry level. That pull out couch is a life saver for family travel too! No shocker that Delta wins the award. Also no shocker that American Airlines comes in 9th out of 10. Did you see how high Spirit was rated? I told you guys it is time to give them another look. 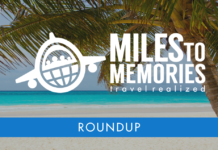 Previous articleNew 5X Credit Card, Hilton Status Match, Rude Traveler Photo Nets Funny Comments & More! In my opinion, JetBlue is absolutely the worst. Their meltdown yesterday was a disaster when they cancelled 41% of their flights, most of them from airports that had no weather problems and all the other airlines somehow managed to fly out of. They claim they “proactively” cancel flights when a storm comes in. How is it that United was able to fly every single scheduled flight yesterday from Newark to West Palm Beach and JetBlue cancelled 3 out of the 4 flights? I have never flown Jet Blue since they have terrible coverage from my airport (besides to Boston) so I have no first hand knowledge. Only thing I could think of is that planes were delayed getting into those airports or maybe hub airlines get preferential treatment. Same thing happened on that AA post I linked above. AA canceled my sister’s flight while she was on the plane due to weather when there was no weather where she was or in NYC and other airlines were flying the route no problem. Doesn’t make sense and they call it weather so they don’t have to reimburse customers. Thanks HoKo – glad you enjoyed it! Thanks Mark. I think this ranking says as much (or more) on Atlanta Airport. Having to fly out of the EWR, JFK, PHL area, is tough. Your home airport dictates which airline works best for you for sure. A lot more delays on the East Coast as well.